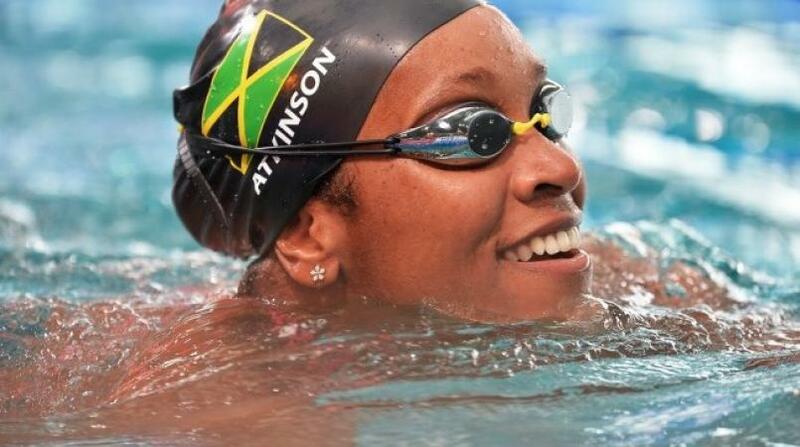 Standout Jamaican swimmer Alia Atkinson. 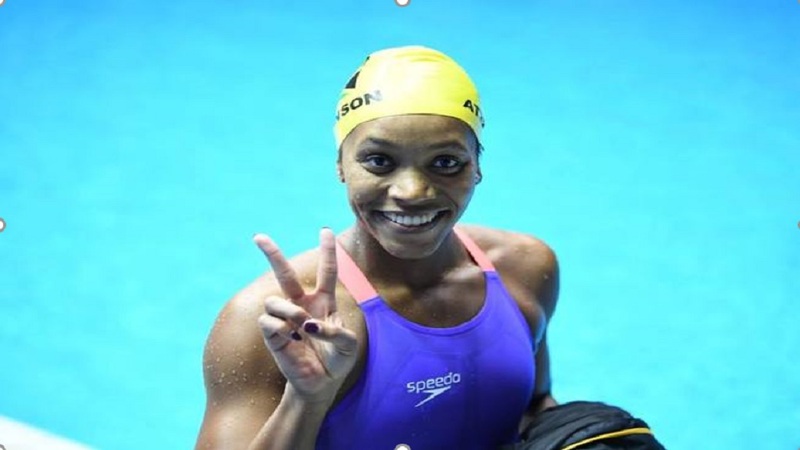 Standout Jamaican swimmer Alia Atkinson clocked the fourth fastest 50m breaststroke time in the world on the fourth and final day of the TYR Pro Swim Series at the Collegiate School Aquatics Center in Richmond, Virginia on Saturday night. Atkinson, who is the Commonwealth Games record holder in the event, dismissed the field to take gold in 30.58, a time that was easily under the World Championships A standard of 31.22. American Molly Hannis finished second for the silver medal in 30.77, while Sophie Hansson of Sweden clocked 30.95 for third place and the bronze. 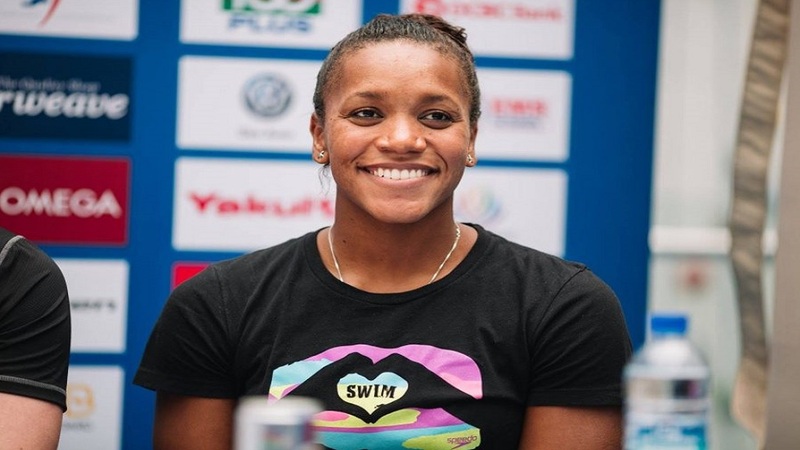 Atkinson, who represents South Florida Aquatics, had given the crowd on hand a glimpse of what was in store for Saturday when she clocked 31.72 swimming breaststroke in the 50m freestyle heats the previous day. In the morning heats of the breaststroke, Atkinson was even faster, posting 31.02 for second place overall. The final promised to be fast, as Hannis posted a world-leading 30.42. Joining her in the final were US Olympians Breeja Larson, Katie Meili, 2015 PAN American champion over 200m Annie Lazor and the 2017 50m breaststroke European medallist Hansson. Atkinson was not alone flying the Jamaican colours as Breanna Roman, representing Pinnacle Racing, continues to improve in the professional ranks. 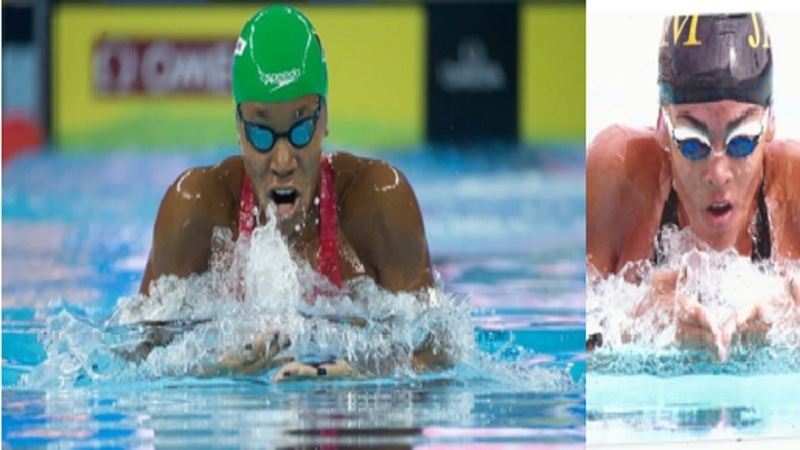 She swam her first 50m breaststroke in the Olympic sized pool in the heats with a time of 33.48 to qualify for the B final, her first final as a professional in the event. In that final, she went faster to place seventh in a time of 33.41.